There are many different styles of tai chi, though the major styles that have been recognized in China and internationally are Yang, Chen, Sun, and Wu styles. Our school teaches traditional and competition Yang, Chen and Sun styles. Yang style tai chi is the most popular and widely practiced style of tai chi in the world. It can be practiced by people of all ages and physical abilities. Yang style tai chi was founded by Yang Luchan, a master of Chen style tai chi. He developed Yang style tai chi emphasizing tai chi's slow, even, fluid, and expansive movements. Our school's traditional Yang style tai chi lineage is through Fu Zhongwen, famous disciple and son-in law of Yang Luchan's grandson, Yang Chengfu. Grandmaster Cheng studied intensively under Fu Zhongwen in Shanghai for many years. Our school teaches Yang Chengfu's 108 Form. 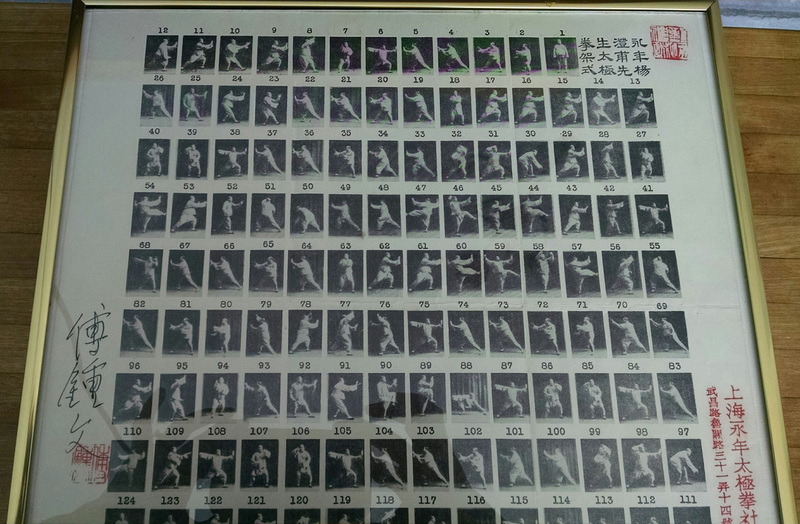 A gift to Grandmaster Cheng signed by her teacher, Grandmaster Fu Zhongwen. Images of Yang Chengfu demonstrating Yang style. Traditional Yang style tai chi branched off into many different family styles with significant variations in their movements and forms. In 1956 the Chinese Sports Commission, under the leadership of tai chi and wushu master, Li Tianji, brought together four Yang style tai chi masters, including Fu Zhongwen, to develop a Yang style tai chi form with standardized movements. The form created was the 24 Form, which is now the most popular form practiced around the world. Li Tianji was Grandmaster Cheng's main tai chi teacher. Our school teaches the 24 Form as Grandmaster Cheng learned it from its creators. ​Our Yang style tai chi curriculum also includes 48 Form, a contemporary tai chi form that incorporates Chen, Sun, and Wu styles tai chi movements in a form structured around Yang style tai chi. 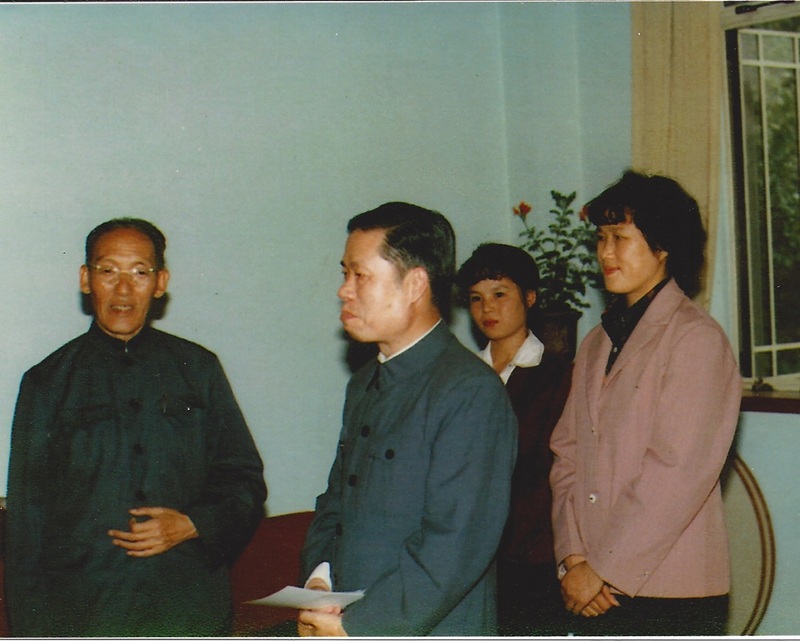 Grandmaster Cheng and Zhejiang Province government officials visiting her tai chi teacher, Li Tianji, in 1982. From left to right: Li Tainji, Ye Jiahe, Cheng Aiping, Ye Xiangyu. 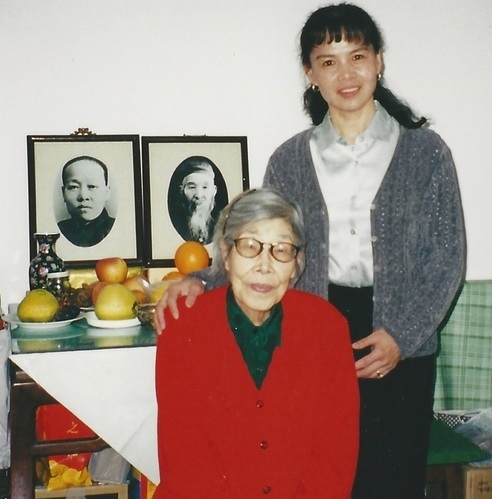 Cheng Aiping and Chen Xiaowang on the 1986 committee establishing the first competition standards for tai chi. Chen style tai chi is the oldest traditional family styles and ancestor to Yang, Wu, and Sun style tai chi. Chen style tai chi originated in the Chen Village of Henan Province in China. While all tai chi forms have martial application to the movements, Chen style tai chi forms focus on the martial aspect of tai chi. Chen style tai chi is practiced in a low stance, utilizing body coiling movements, stomping, and explosive releases of power called "fa jin". Chen style tai chi is more physically intensive than Yang style tai chi and requires more strength, flexibility, and endurance. Our school's Chen style tai chi lineage is through Chen Village lineage holders, Chen Xiaowang and Chen Zhenglei. Our traditional Chen style tai chi curriculum teaches "Lao Jia Yi Lu", the traditional first form of the Old Frame. Our school also teaches the contemporary 56 Form, the international competition standard for Chen style tai chi, and the 18 Form, a shortened version of "Lao Jia Yi Lu", created by Chen Zhenglei. 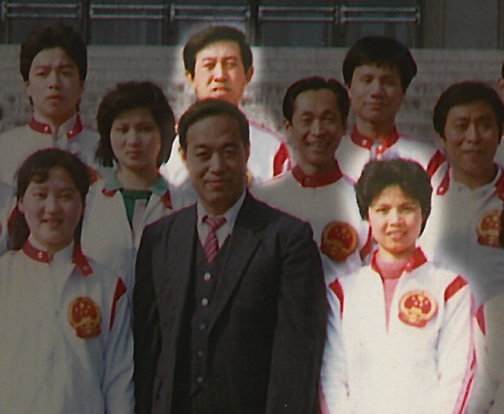 Grandmaster Cheng and Chen Xiaowang served together on the 1986 committee standardizing competition tai chi standards. Grandmaster Cheng and Chen Chenglei were teammates on the 1988 China National Tai Chi Team. 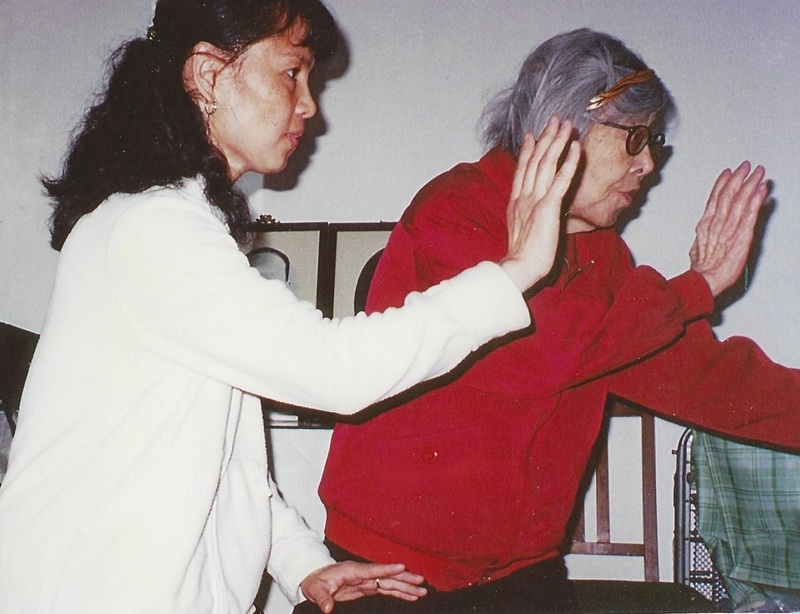 Cheng Aiping practicing Sun style tai chi with her teacher, Sun Jianyun. Sun style tai chi was founded by Sun Lutang, a master of xingyichuan and baguazhang, two hard internal martial art systems. After Sun Lutang learned and mastered the soft internal martial art of tai chi, he developed his own style of tai chi combining all three systems. Sun style tai chi is practiced in a higher stance than Yang or Chen style tai chi. Sun style tai chi has the linear leg and waist movements of xingyi, the stepping and circular hand movements of bagua, and the softness of tai chi. Our school's Sun style tai chi lineage is through Li Tianji, Li Yulin, and Sun Jianyun (Sun Lutang's daughter). In 1988, the competition Sun style tai chi form was established. The Chinese Wushu Research Institute published their official teaching video for the Sun style tai chi competition routine featuring Grandmaster Cheng performing the new routine. * Sun Style Tai Chi is not currently offered in our class schedule. It is taught as workshops only. We hope to include it in our class schedule in the future. ﻿﻿Tai chi forms include both open hand forms and weapon forms. 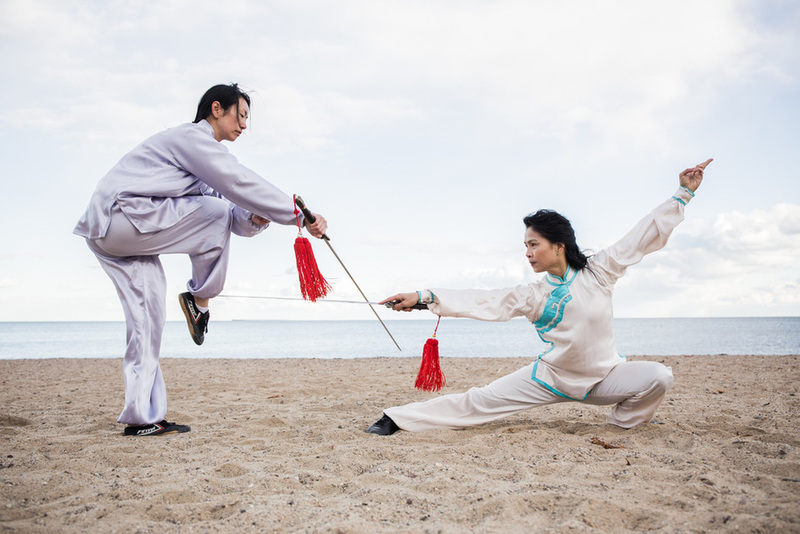 Tai chi weapon forms enable us to better understand tai chi movements and principles. The weapon is wielded as an extension of our bodies as we allow internal power to extend beyond our hands through the weapon. Our tai chi weapons curriculum include tai chi straight sword and tai chi fan. Students must first learn tai chi open hand forms before learning tai chi weapon forms.